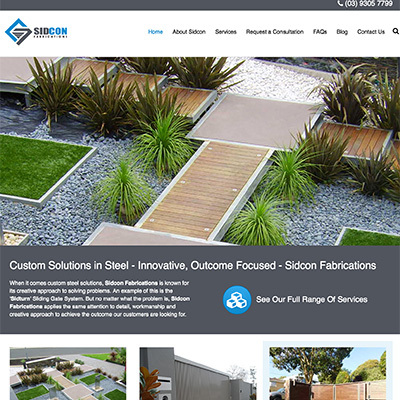 Sidcon Fabrications are steel and aluminium fabricators specialising in gates, fencing, stairs, balustrades and structural steel. From the outset Sidcon Fabrications was an interesting opportunity. They had little or no web presence, just a static 'under construction' landing page. In addition, they had a small Facebook presence. So, we were beginning from way behind the field! What they did have though was a great ethos, an innovative approach, and a sensational product that was unique to them: a turning gate system. This was enough to convince us that they were a great fit for our approach. We felt we could have a big impact on their business, and they agreed. So we set to work! It would appear that every man and his dog build gates! Who knew?! The competition is fierce from a search engine perspective. So, we needed to set them apart from their competitors. That's where the turning gate comes in. 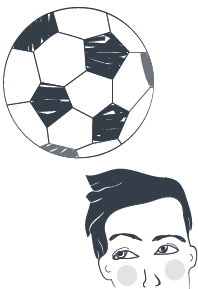 This became the centre piece of our marketing. The idea was to build a website that would be a launch vehicle to get their innovative gate, The Sidturn, to market. Of course they do a lot of others things as well, eg steel and aluminium fabrication, but initially our focus was the The Sidturn.You have start somewhere, and it's better to have a clear focus than a shotgun approach! Our initial aim was to get found for the term 'turning gates melbourne' and move on from there. And move on we have! While we've only been working together a short time, we have started to make great strides. And that's the key - we do it together, we are a team! Online marketing, like most things worth doing, takes time. We believe it's better to take a measured, planned and consistent approach, and that's what we continue to do here. Are we done? No. Are we where we want to be? No, but we're on track! (excuse the gate pun!) We are far from finished, but it's early days. There is much work to be done, but together we are moving forward. We believe the future is very bright for Sidcon Fabrications, and we are please to be part of it!